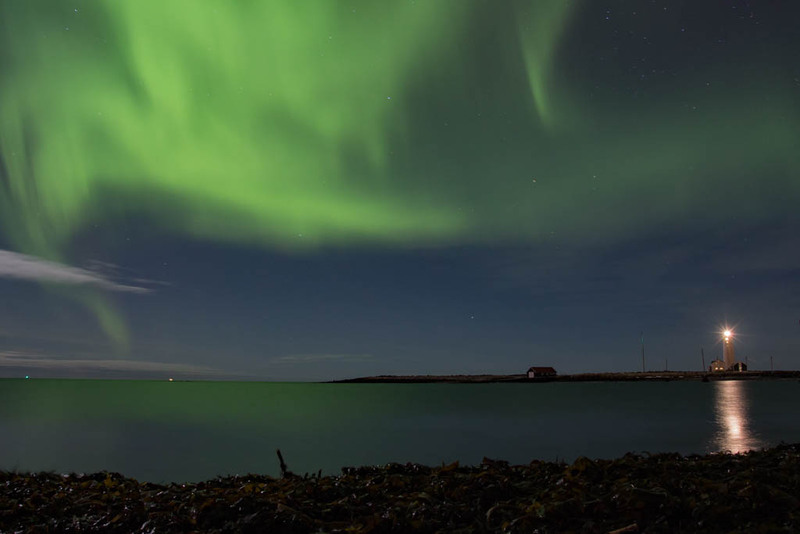 “Can you see the Aurora from the city?”, is a frequent question of hopeful aurora hunters. The answer: Yes, if conditions are right, you can. However, the experience will of course not be as delightful as if you’d leave the city lights behind and head out into the arctic wilderness. We often compare it to watching a movie in the cinema with all the lights switched on. Dust an electrical illumination can make it hard to see auroral lights, so your eyes will process them more fainted and not as colorful. On top, witnessing the magical aurora is definitely a multi-sensual experience. Just close your eyes for a second and imagine the smell of the crispy-clear arctic air and the sound of a cracking glacier above a sleeping volcano – in comparison to the sounds and smells of the city. You get the point, right? But: We understand the life is not always following plans – so if you can’t leave the city, or maybe already did and want to try your luck again; here is where you might meet us when we´re in town! Our all-time favorite is the Grotta Lighthouse. Located at the Seljananes Peninsula, this spot is one of the darkest inside the capital area, and you will automatically face north if you observe the lighthouse – the direction, where the lights usually occur from. 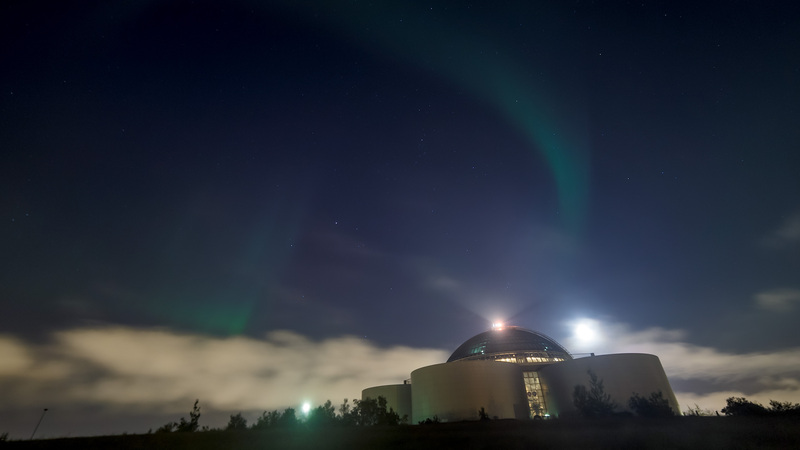 Located on the hill Öskjuhlíð, Perlan (English: The Pearl) is one of the main landmarks in Reykjavík. Not only the building itself is stunning – due to its exposed location, it provides spectacular views over the city. 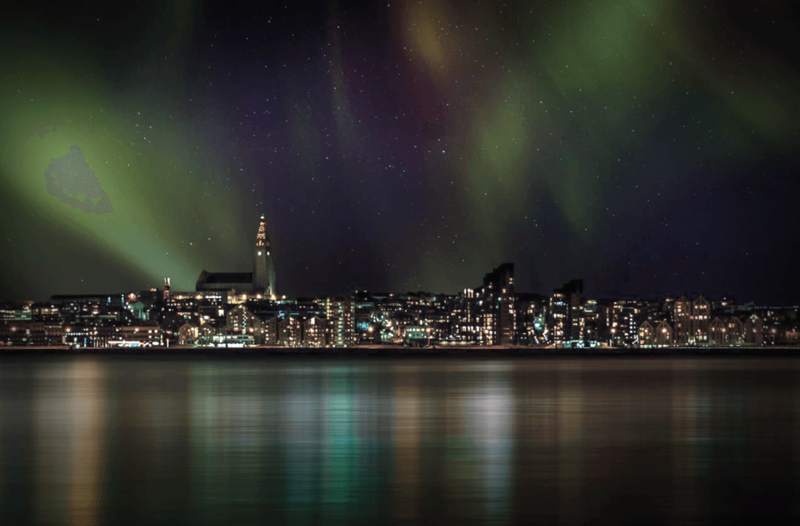 Probably the most spectacular view over Reykjavíks beautiful skyline can be caught from Viðey Island. This tour takes you there. The Sun Voyager (Icelandic: Sólfar) is a sculpture by Jón Gunnar Árnason, located next to the Sæbraut road in Reykjavík, Iceland. 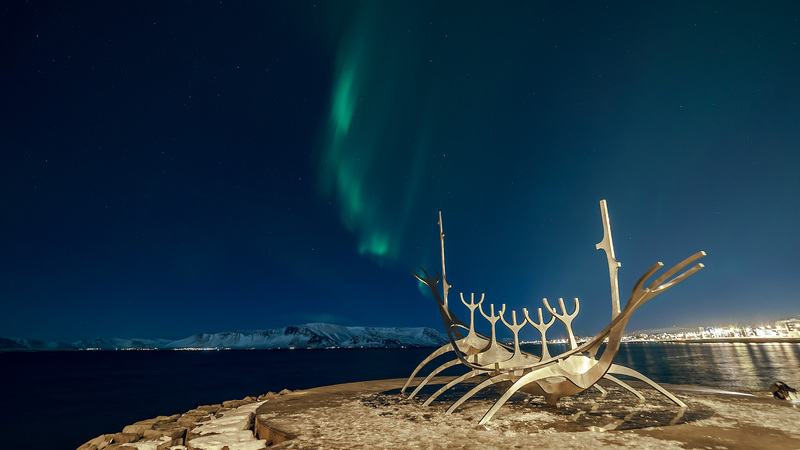 Sun Voyager is described as an ode to the sun – the creator of the Northern Lights. Though not directly dedicated to the Aurora, this place is for sure a beautiful spot to look out for the lights. Skarfabakki is Reykjavík’s cruise ship port. From here, you have the perfect view of Esja, our beloved mountain range, and Viðey island. 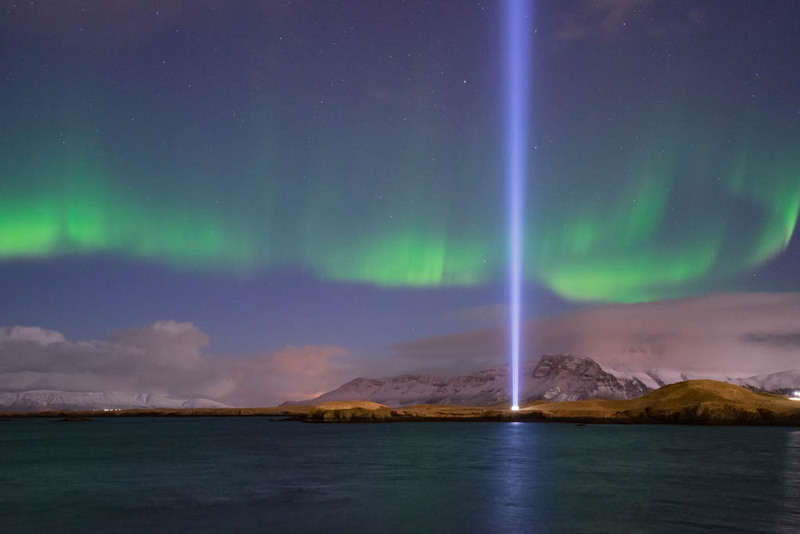 During certain time periods, Yoko Ono’s Peace Tower is enlightened, like here in the picture. The perfect place to witness the aurora in peace and surrender, if you can´t leave the city.